Famitsu reports that the Japanese version of FINAL FANTASY XIII-2 has finished development. That’s not surprising though, as the game is due for release in less than a month. The team is currently at work finishing the North American and European versions, as well as upcoming downloadable content. The first set of DLC will include the boss battle with Omega. More is planned for the future, including both free and paid items, although a large majority will be boss fights in a colosseum which is separate from the main game. By defeating the boss and turning it into a crystal, you have the ability to add it to your monster allies. 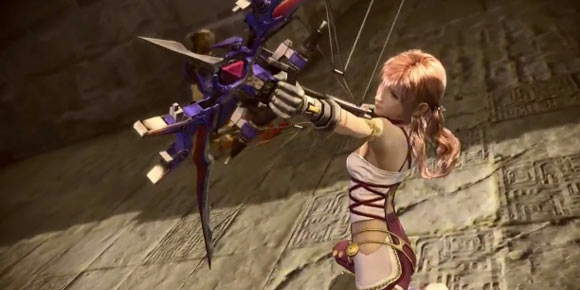 Costumes for Noel and Serah will also be released, along with content that may alter the Historia Crux. No need to worry, however, as DLC will not effect the game’s Trophies or story, all of which can be completed with the content on disc. DLC will be released through Spring 2012, at a pace of once every two weeks. Pricing is still TBA. There are also no current plans to release the pre-order bonus DLC, so make sure you’ve ordered where you want. Should Final Fantasy XIII Be on Xbox 360?? ?